Cute AM/FM Radio! 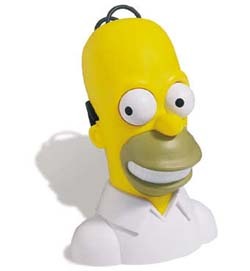 You can rotate Homer's eyeballs to adjust the tuning and volume. This radio is about 8" tall. Requires 2 "AA" batteries, not included.